Beacons are small, wireless locations receptors – easy to hide away – that work with Bluetooth technology. This is a way to enable indoor navigation, for instance, in a museum. 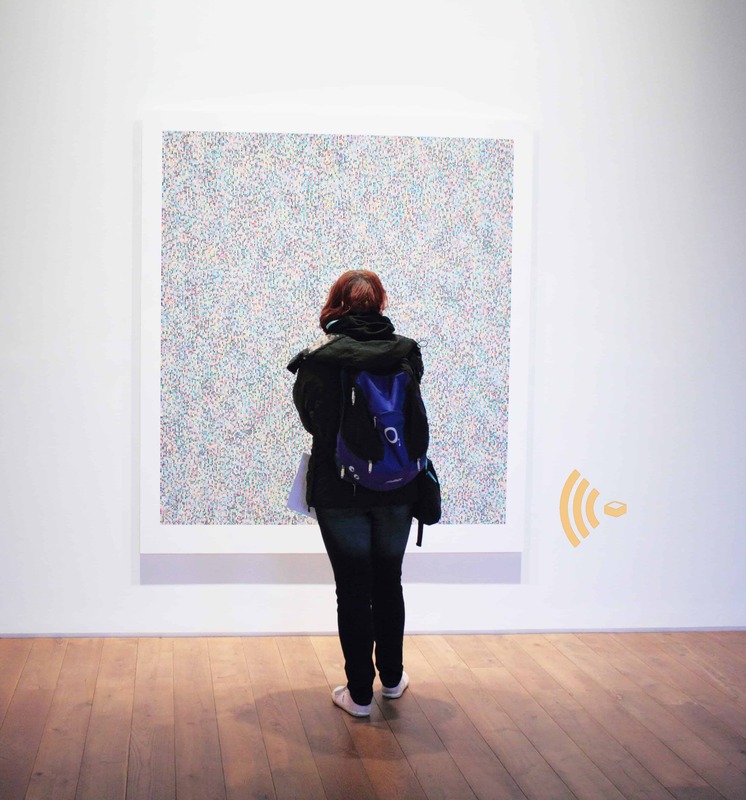 Put simply, beacons enable automatic triggering of specific content in an app as a visitor enters a room, or comes close to a specific object. Here is a link to a great infographic! The beacon technology has grown to encompass more areas of use, from museum exhibitions to airports and retail. Beacons, which charge via batteries or adapters, send out a unique ID and can identify the position in the app. The signalling is done via Bluetooth, a wireless technology that 90 % of all phones have these days, a system not unlike that of WiFi. We have been working on finding a good beacon solution for indoor navigation the past three years. In theory, it is very simple: When a phone is close to a beacon, specific content or a position on a map, is displayed. Our experience, however, is that there are weaknesses, which make this technology work less optimally than would be desired. One weakness we have noticed, is that the quality of visitor’s Bluetooth ranges in quality, depending on what smartphone (or museum device) they have, which means it is difficult to ensure that everyone always gets an exact position. Further, it’s important to note that the visitor must have their Bluetooth switched on for it to work- something you can clarify to the visitor in the app. A solution to this could be to offer handheld devices at the counter, ensuring everyone gets the same quality of experience. Another aspect to consider, from a user experience point of view, is how and how much one should notify visitors? If visitors are continually reminded that they have reached “X”, it can become disturbing. Start by clarifying to yourself what additional value your beacon venture will have for your visitors. Our experience, is that beacon technology works well when it comes to letting visitors know what floor they are on, or what exhibition room they have entered. However, when it comes to more precise navigation, such as would be optimal when many different objects are close together, the technology is still lacking. An option is to combine beacons with other triggering methods such as manual input, QR codes, image scanning, AR or choosing from a list or map. Either way, we will keep our eyes and ears open – and look forward to following the progression of beacon technology.